I’m having a hard time finding the exact words to express the awesomeness of this book. I’ll just say this. If you find yourself questioning your purpose or what to do with your life give this a shot. The wisdom here is not what you would get from other books. Also Alex’s performance on this audio was A+++ it drew me in and I was fixed. I was so mesmerized that I found myself getting choked up with tears running down my face in the last few chapters. Thanks Alex for giving me hope and energy to keep going after I didn’t think I had it in me. I will forever utilize the 3rd door mindset. The world sold you a map to success, and you followed it - only to find that the world's version of extraordinary is the trap of the ordinary. Your to-do list keeps growing, you haven't been to the gym in weeks, and your family wants more time with you. You are doing your best, but you're exhausted and unfulfilled. How did you get here, and where are you going? 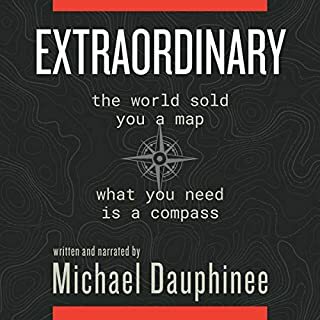 Michael Dauphinee understands that you don't need a map with a final destination; you need your own compass. A Field guide on living your best life! If you feel like a square peg in a round hole this is the perfect book for you. Michael illustrates why you are perfect the way that you are, and how you can use your strengths to guide you in making steps towards a life worth living. This guide is not filled with cliche recommendations, Michael provides honest advice based on his own personal experiences. I also feel like it’s part memoir of a person with the a heart of gold. Micheal takes you on an emotional rollercoaster, and I would be lying if I said I didn’t get choked up a bit. I truly enjoyed listening to this program, and highly recommend it. This book is so good and a must read for anyone looking to make change in their life. Jairek is a hip younger version of his dad. His ideas are fresh and inspiring. I just barely started applying his techniques and I am already starting to see a difference in my happiness and quality of life! Since he is the narrator of this audio book, and through his stories I feel like I know Jairek on a personal level. Thank you Jairek for all that you have done. I am committed to living it and paying it forward! Where does The Miracle Morning rank among all the audiobooks you’ve listened to so far? Miracle Morning is at the top of my list of personal development books. What was one of the most memorable moments of The Miracle Morning? 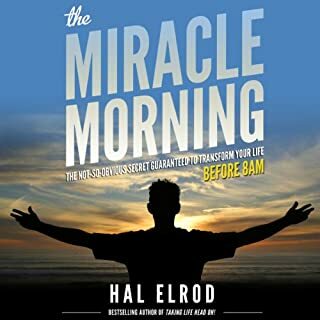 Hal's Framework for having a Miracle Morning transformed my life. 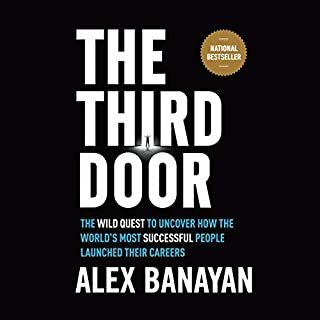 Prior to listening to the audiobook I was in a very rough spot in my life, and this book helped me take control and turn things around. What about Rob Actis’s performance did you like? BUY THIS BOOK!! I'm going to give you one thing that you need to think about. This is not a silver bullet to living an awesome life. 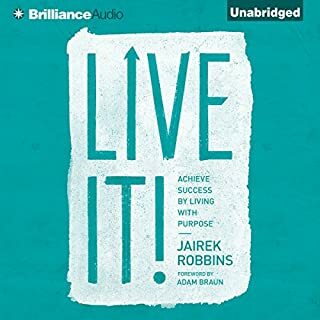 It will take work, but Hal gives you a framework, that if you are serious about making a change to have a LEVEL 10 life than this audiobook is for you.